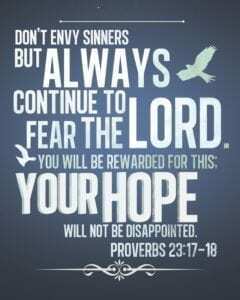 Let not your heart envy sinners, but continue in the reverent and worshipful fear of the Lord all the day long. Hear, my son, and be wise, and direct your mind in the way [of the Lord]. 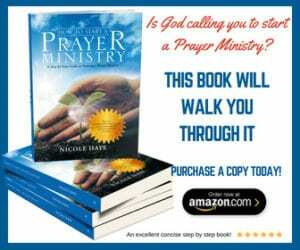 How can we ever desire God to answer our prayers when we don’t have any expectation on what we are praying for? We must not only Pray, hope, have faith and believe but we must wait with expectation! We must expect what we are praying for or it will never show up! Lord bless my expectation for receiving a job offer from the employer I went for interviews to. We were many Lord and we all need the Job but kindly turn your eyes on me and bless me. My God I have been praying for this kind of Job since 2016 and the opportunity is now. I beg you My Lord in the name of Jesus this grant me this favor, all glory and honor will be yours. I know Lord your promises are Yes and Amen. Good morning everyone, I’m asking for pray to sell my house quickly and to move into my moms house to get out of 90,000.00 Debt. Thanks to all of you in advance for standing in agreement with me ♥️. I need for people of faith , to join us in prayer in selling our home. And to have clear vision to see where God have us to live. We want to fulfill God’s purpose in our lifes. Thank you. Thank you for these scriptures. Truly a Blessing that I can find a scripture for each situation and the ability to walk by faith and trust God in everything for what my need is. I stand in agreement with you for the job your husband need and that your son will get into university. He is a God of promise. He said He would send His Son and He did. Your deliverance os today. Amen! The most effective prayer you can pray, despite your pain, is for the will of God to be done over all lives involved. And, you may also pray that God will send someone across his path who can reach him. this really have a great impact on me in expectation of my admission letter for this year in UNIVERSITY OF IBADAN. I pray God hasten my expection. AMEN !!! I really thank you for these scriptures, there of great help to me and my business. May the good lord richly bless you. Hello. Please , can you pray for me, for my family and all of my life will be refresh in God. What is my true calling in Jesus’ . What must I will do in this earth.